Hurricane Florence has brought widespread flooding, torrential rains and devastating winds to North Carolina and South Carolina, and has taken out a communications network designed to warn residents of its scale and progress. 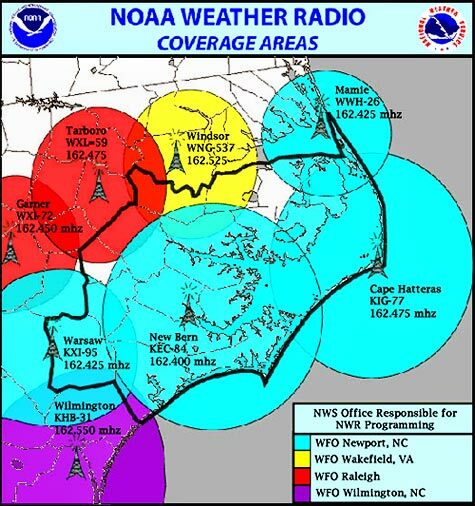 At 9:47 a.m. this morning, NOAA’s National Weather Service announced that all NOAA weather radio transmitters in Eastern North Carolina supported by the National Weather Service in Morehead City are down. 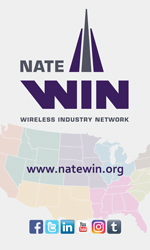 They said that winds from the Category 1 hurricane knocked out all four of the their transmitters in Warsaw, Cape Hatteras, New Bern and in Maimee. NOAA Weather Radio is a service of the National Oceanic and Atmospheric Administration, broadcasting on seven VHF Band frequencies ranging from 162.400 MHz to 162.550 MHz. These frequencies are outside the normal AM or FM broadcast bands, and are therefore not found on the average home radio.